SegaWorld was the largest indoor theme park in the world, and operated in central London between 1996 and 1999. 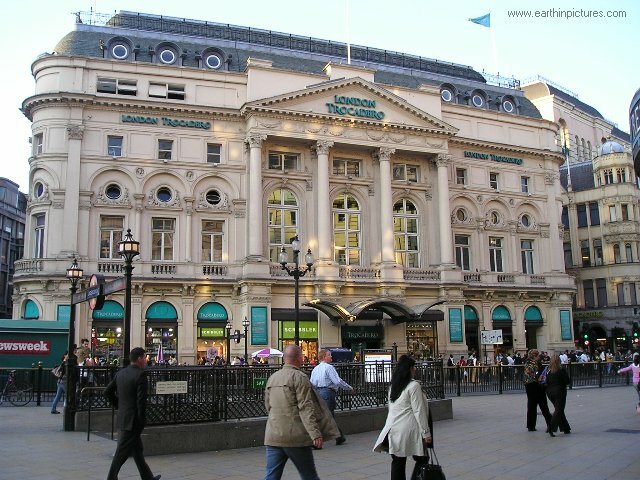 Nick Leslau (born 1959) and Nigel Wray (born 1948) paid £96 million to acquire the Trocadero on Piccadilly Circus, London, in 1994. Tenants included a Planet Hollywood restaurant, a cinema, retailers such as HMV and the Guinness World Records experience, but 110,000 square feet across seven floors remained unused. The partners negotiated with Sega to open an indoor theme park. At the time Sega, along with Nintendo, dominated the world video gaming scene, and Sonic the Hedgehog was at the peak of its popularity. Sega would operate the park rent-free, with the landlords receiving a half share of the profits. SegaWorld had already received a “light launch” in Bournemouth, with a £3 million video game arcade that opened in July 1993. After the London SegaWorld opened, the Bournemouth park’s name was changed to “Sega Park” to avoid confusion. The London site was modelled on Sega’s Joypolis theme park in Tokyo, which contained many of the same rides. Although Joypolis was smaller, when it had opened in 1994 it had been the largest indoor theme park in the world. SegaWorld London received a £50 million investment and was the largest indoor theme park in the world. Sega claimed that over $1 billion in research and development had helped produce the park. SegaWorld had six rides which combined traditional and virtual reality elements. The concentration on virtual reality was partly due to the fact that space was constrained in the Trocadero. Each ride cost around £2 million to build. As well as the rides there were 400 coin-operated arcade machines. SegaWorld also contained the longest above-ground escalator in Europe. Customers embarked upon it at the park entrance, and it took them up all seven floors in a single run. It was so large that during installation it had to be lowered in through the Trocadero roof in five sections. SeagWorld London had massive marketing hype. James Bidwell, head of marketing for Sega Europe, called SegaWorld, “the most sensational new tourist attraction in the world”. Buzz words like “futuractive” were used to describe the park by its marketing agency. SeagWorld London opened in September 1996, with a launch party featuring Robbie Williams. Laslau later reported that his “heart just sank” at the launch event. Over 100 people were queuing for a ride that could handle 40 customers per hour. He prepared himself for the media evisceration that he predicted would be forthcoming. The Daily Telegraph described the park as “little short of a disgrace” and a “joyless tourist trap”. Cosmo Landesman of the Sunday Times described the park as “prosaic and tacky”. Meanwhile, Tom Whitewell of The Guardian said “it’s not all that different from your local shopping centre” and described the ride technology as “nearly always obvious and unsubtle”. Several reviewers pointed out that one of the rides was a dressed-up dodgems. Sega could not deliver what they said they’d deliver… It looked amazing, but their rides were not capable of delivering the number of people they needed to deliver to support the operation. People were queuing for ages … It was a question of over-anticipation and under-delivery. Reviews following the launch event did not improve. In December 1996, John Tribe reported the experience to be a “glitzy con-trick” in The Times. That month, the entrance fee was reduced to £2 but fees for the rides of between 50p and £3 were introduced in an attempt to reduced the hour-plus queues that developed during busy periods. In February 1997, it was revealed that SegaWorld visitor numbers, at 1.1 million, as well as average customer spend, were about half those anticipated. The park lacked basic facilities such as a bar, chairs or cloakrooms. We have realised that this is not an indoor theme park. It is an amusement arcade and you would not normally pay to go to an amusement arcade. A £2 million 125 ft free-fall ride was opened in March 1998, with sponsorship from Pepsi. But this new investment failed to stem continued losses of £2 million a year, and Sega was evicted by Trocadero management in September 1999. The disorganisation, mechanical failures and lack of market research reflected poorly on Sega. A Sega World operated in Sydney, Australia between 1997 and 2000, but closed down under similar circumstances. The interactivity, optimism for the future, over-expectation and consequent media cynicism would also characterise the Millennium Dome, which was a kind of theme park/interactive museum. Further parallels can be made between Sega World and DisneyQuest, a similar indoor theme park with virtual reality elements which also over-promised and failed to deliver.